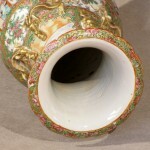 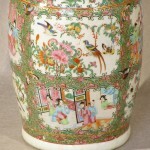 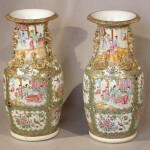 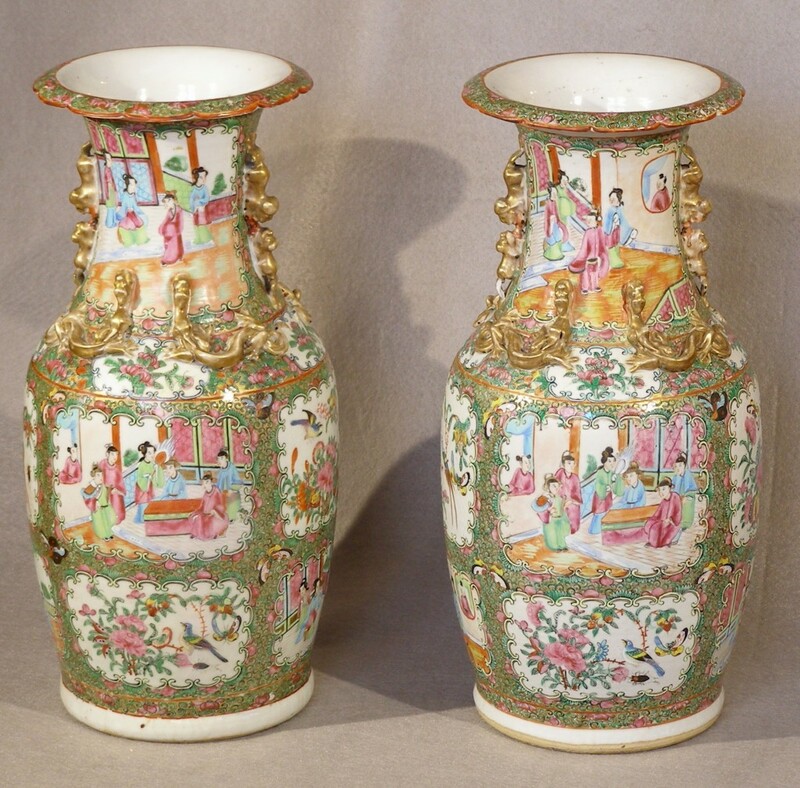 A very good quality pair of Large Chinese Export vases in rich enamel colors painted by skilled artists. 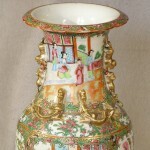 Lots of gold creepy crawly applied critters on the neck and scalloped edge on the rim. 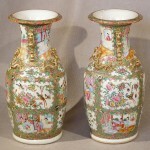 One vase is just about perfect except for light rubbing of the gold. 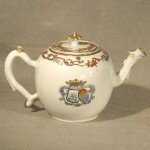 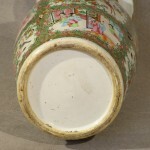 The other vase appears to be in the same condition but has had one vertical hair line consolidated which is nearly impossible to see.